Special thanks to Julie for getting me access to one of the best views in all of Chicago. 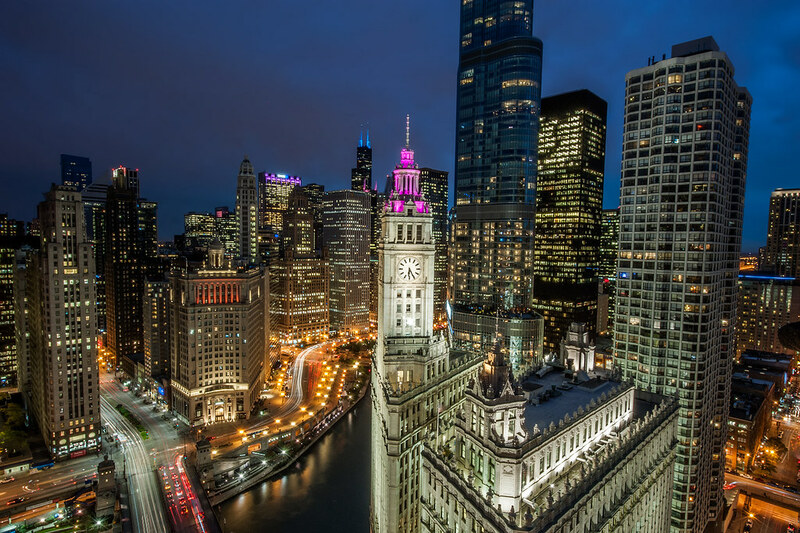 This photo was taken from the 25th floor of Tribune Tower. I had so much fun shooting up here and watching the light in the city go from day time to sunset to blue hour and night. One of the best views I've seen of Chicago, the Rooftop Veranda at Tribune Tower.